I chose this year to attend the TCEA technology conference in February instead of the Texas Library Association conference going on this week. I knew that I would miss going to TLA, but felt that I really needed to brush up on my technology this year. And while I am glad that I went, now, seeing all the tweets and facebook posts from TLA, I am sad to be missing. I think next year, I am going to try to attend 2 days at each conference instead of 4 days at one of them. I always feel guilty getting to attend conferences because our teachers do not get the opportunity to go anywhere but I do try to bring back and share as much information as I can. 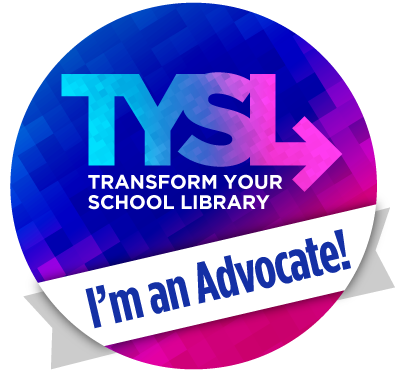 I hope my fellow librarians in our district bring back all the good things they learned and will share the knowledge! I've never done 4 at TCEA. Just 3. Would be hard to pay for both but definitely fun to go. If not for my assistant taking her days before retirement I think I would have taken a personal day just to go up to the convention floor. That part is DEFINITELY more fun at TLA.